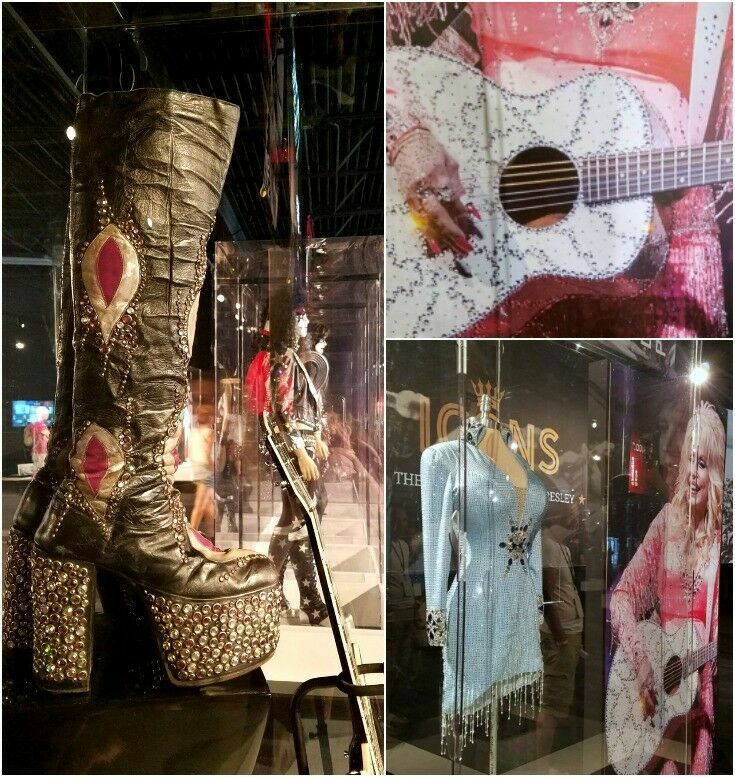 The newly opened Elvis Presley’s Memphis Entertainment Complex is vast, eye-opening, humbling, and a must for music lovers of all kinds. Tomorrow marks the 40th anniversary of Elvis Presley’s death, and in Memphis this is Elvis Week. 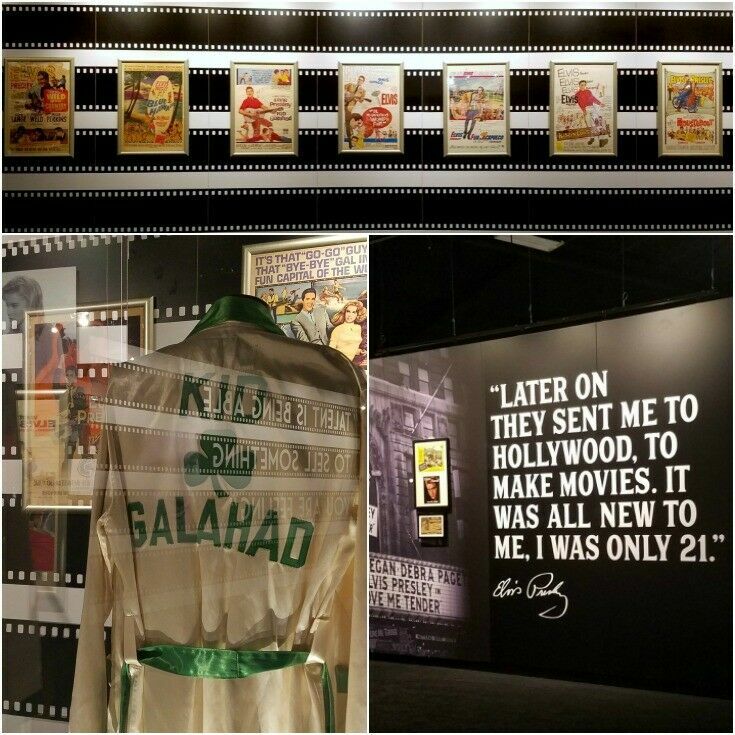 The celebration is expected to draw the largest number of visitors ever to Graceland – Presley’s Memphis mansion. I have to admit, until recently I just didn’t get it. I could not understand why this man – an exceptionally talented entertainer to be sure, but still, just a man – caused so much hype and celebration. I mean, it’s not like he’s the only singer who’s ever touched hearts and made young girls cry, right? It wasn’t until we visited the newly opened Elvis Presley’s Memphis Entertainment Complex that things finally fully click. All the hype. All the glorification. All the adoration and idolization. I get it now. Because it isn’t just about Elvis the Man, or Elvis the Entertainer, or even Elvis the Icon. It’s about something far bigger than that. It’s about how he changed the Music. Many thanks to Graceland and Elvis Presley’s Memphis Entertainment Complex for hosting our visit. This post may contain affiliate links, but don’t worry – they won’t bite. 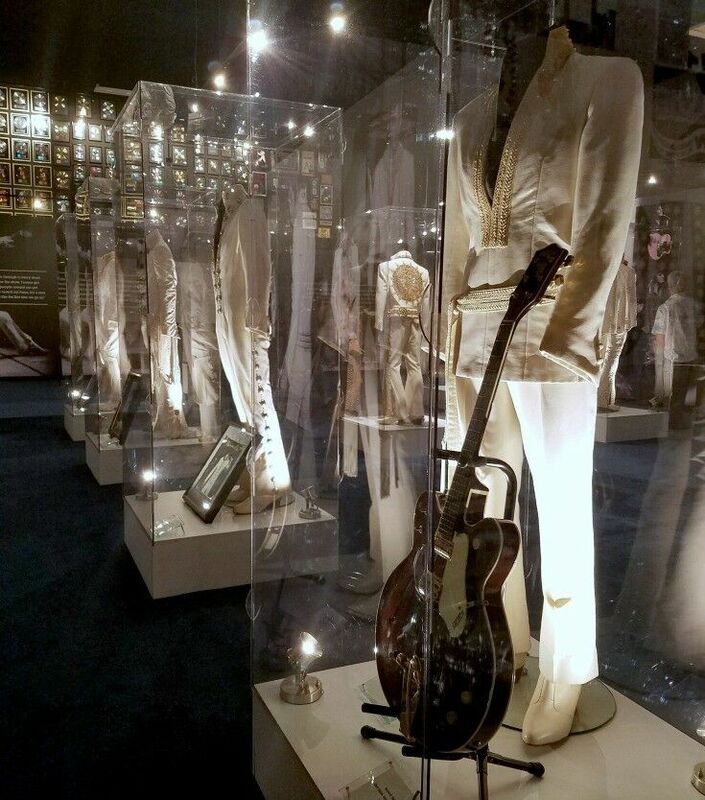 Elvis Presley’s Memphis Entertainment Complex opened to the public in March of this year: a 200,000-square-foot, $45 million project across from Presley’s Graceland Mansion. 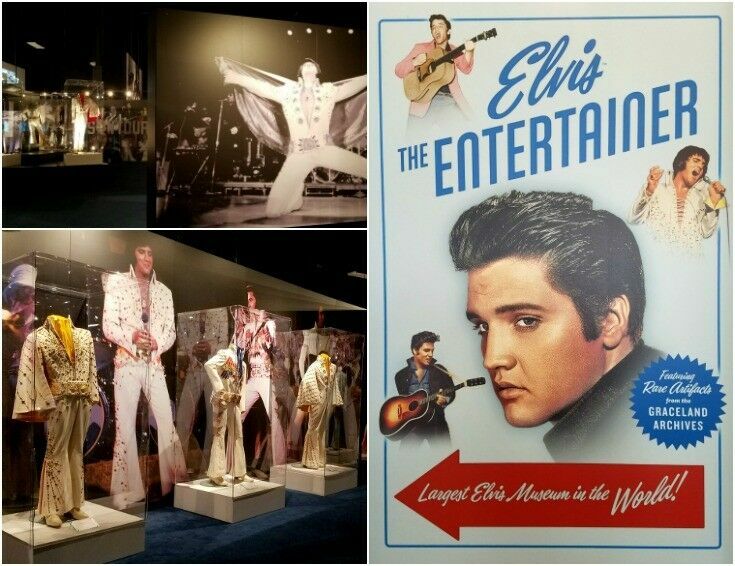 The new Entertainment Complex features fifteen exhibits highlighting the many facets of Elvis’ life (including his early life, his career, his army stint, his cars, his airplanes, and countless items from the family’s personal archives), plus two restaurants, retail stores, and a soundstage. It is an amazing facility, and visitors can easily spend at more than a day exploring. 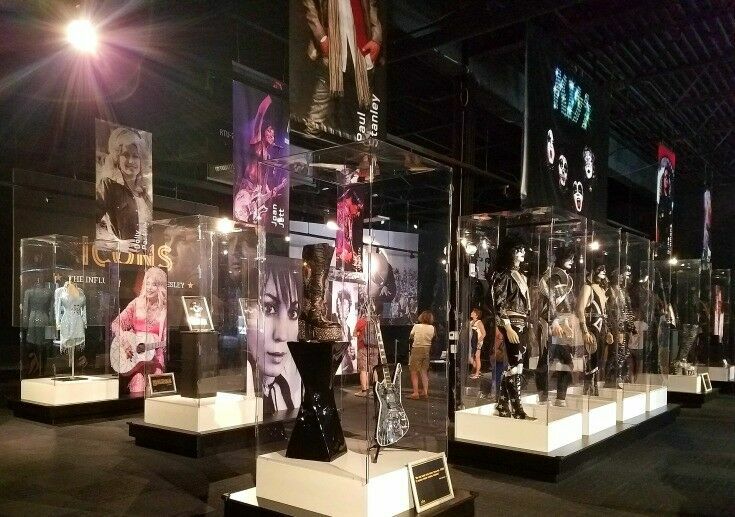 It was at one of the exhibits – ICONS: The Influence of Elvis Presley – that I gained a completely new perspective on why Elvis is known as The King of Rock ‘n’ Roll. 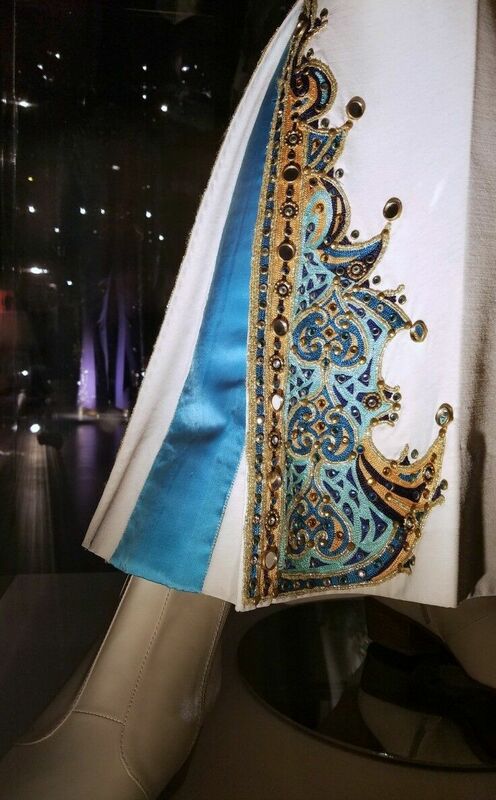 However, before I go on more about the ICONS exhibit and what we took away from it, let me share a few other highlights from Elvis Presley’s Memphis. Once again – this museum is Vast: I can barely scrap the surface here. Elvis received his first guitar on his 11th birthday, on on January 8, 1946. It was purchased from Tupelo Hardware Company in Tupelo, Mississippi. Elvis cut his first recording, “That’s All Right,” at Sun Studio in Memphis on July 5, 1954. Between 1954 to 1978, Elvis released 108 singles, 30 extended-play singles, 70 albums on RCA Records, four albums on the Pickwick budget label, and five singles on the Sun Records label. Of his recordings, 150 different albums and singles have been certified gold, platinum or multi-platinum by the Recording Industry Association of America. (Look closely at the image below and you can see some of them hanging on the wall behind the line of white jumpsuits.) He had fourteen Grammy nominations, with three wins – all for gospel recordings. In addition to recording, Elvis also made thirty-one movies, arguably the most successful of which were Blue Hawaii, Clambake, King Creole, Jail House Rock, and Viva Las Vegas. 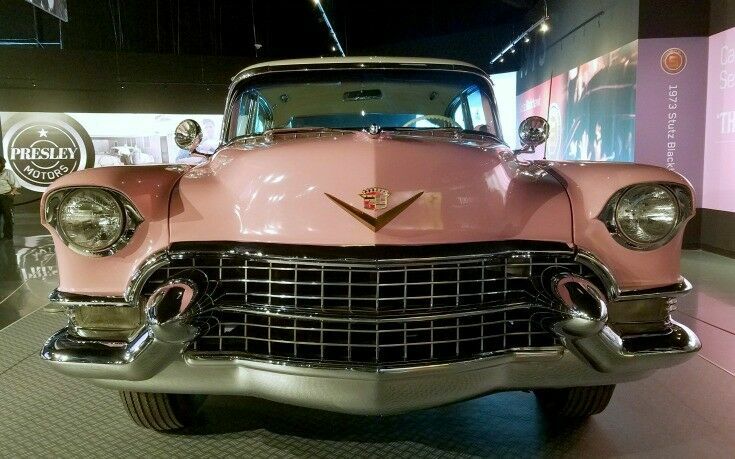 Pink Cadillac. Do you really need anything else? There’s nowhere else in the world where you can go from driving a truck to a Cadillac overnight. 1956 Cadillac Eldorado – Originally white. 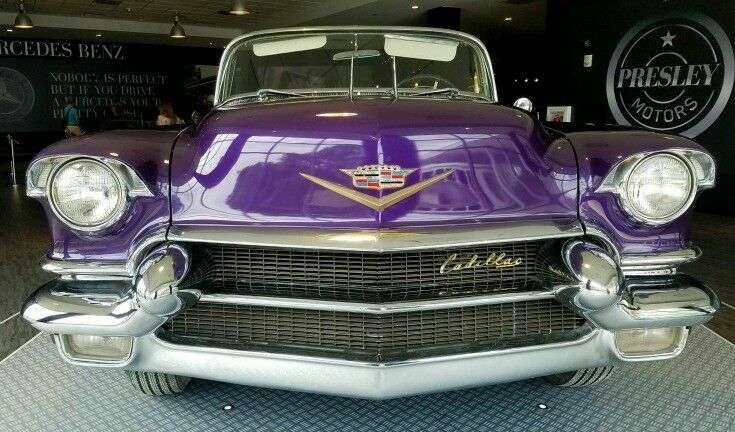 When he bought it, Elvis had the car painted purple and customized the interior. 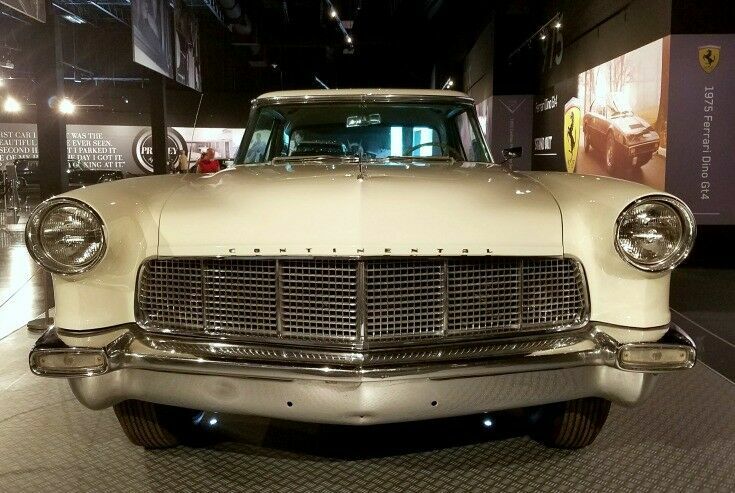 1956 Lincoln Continental Mark II – came with a price tag of $10,000 when it was introduced in 1955, much more than the average $4000 luxury car of the time. The first car I bought was the most beautiful car I’ve ever seen. It was second hand, but I parked it outside of my hotel the day I got it. I sat up all night, just looking at it. 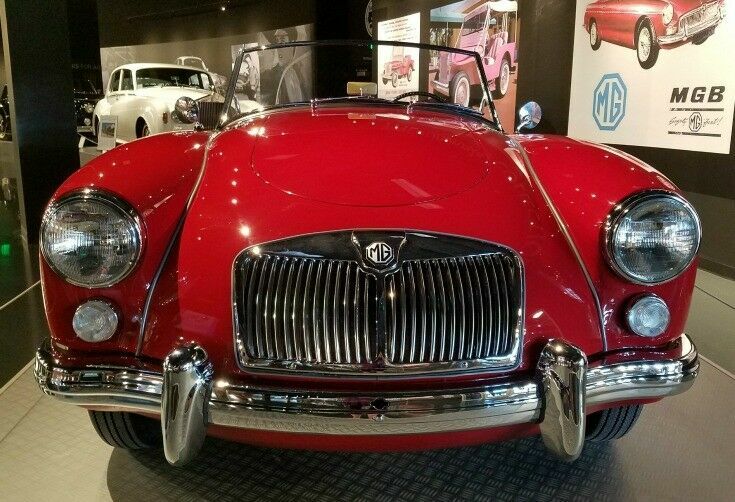 1960 MG – Used by Elvis in Blue Hawaii and was part of his personal collection. 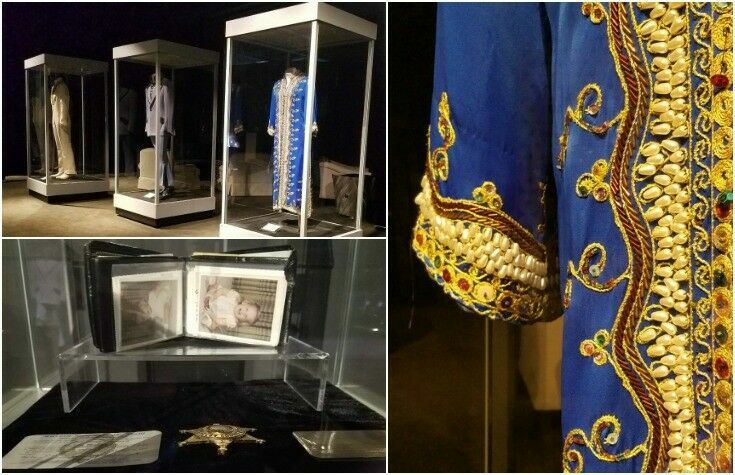 The VIP area displays some interesting personal items, including Elvis’ sheriff’s badge and ID, his gold Social Security card, and his wallet with a picture of baby Lisa Marie. 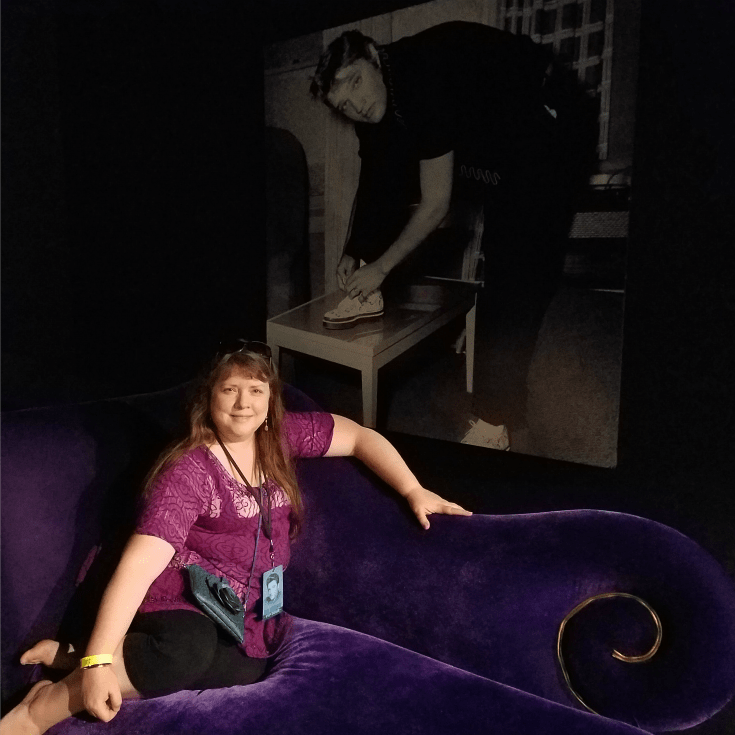 Yeah, that’s me, hanging out on a purple velvet chaise lounge with Elvis. No biggie. 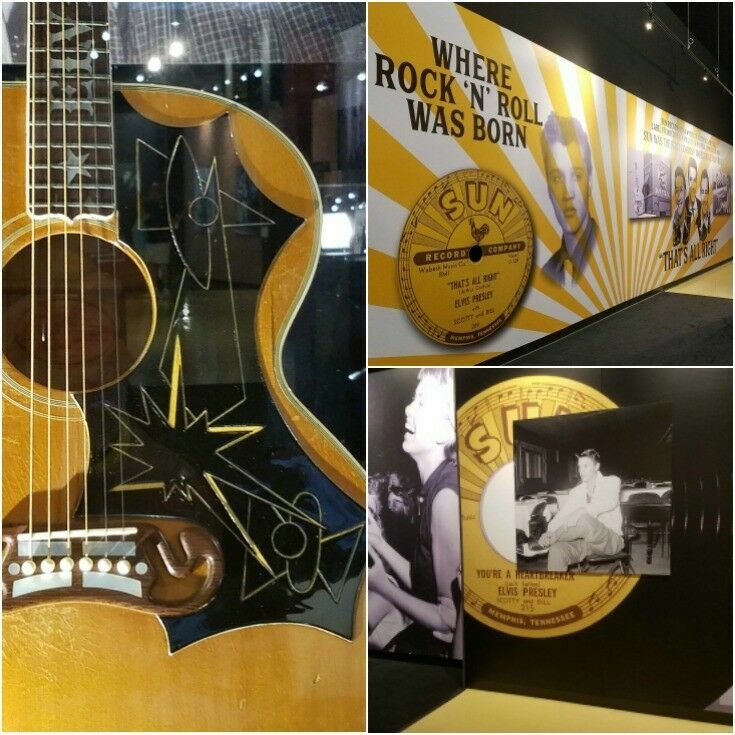 In addition to the exhibits we’ve touched on here, there are displays highlighting Elvis’ early years (Elvis’ Tupelo), military service (Private Elvis), how country music influenced rock ‘n roll, and much more. I guess until recently, I’ve tended to look at the development of music in a relatively linear way; one genre evolving and expanding, with new styles emerging from old and moving forward to form some unique sound that eventually comes into its own. However, our trip to Tennessee gave me a much different mental picture; instead of a timeline marching forward with tangents breaking off at particular intersections in time, I now see the progression of music as more of a web of influence; and like a spiders web, in which one fine silk thread, placed just so, can shake the entire system to its core. Elvis was, and continues to be, a single gossamer thread to which so many others are anchored. The ICONS exhibit clarified this idea beautifully. 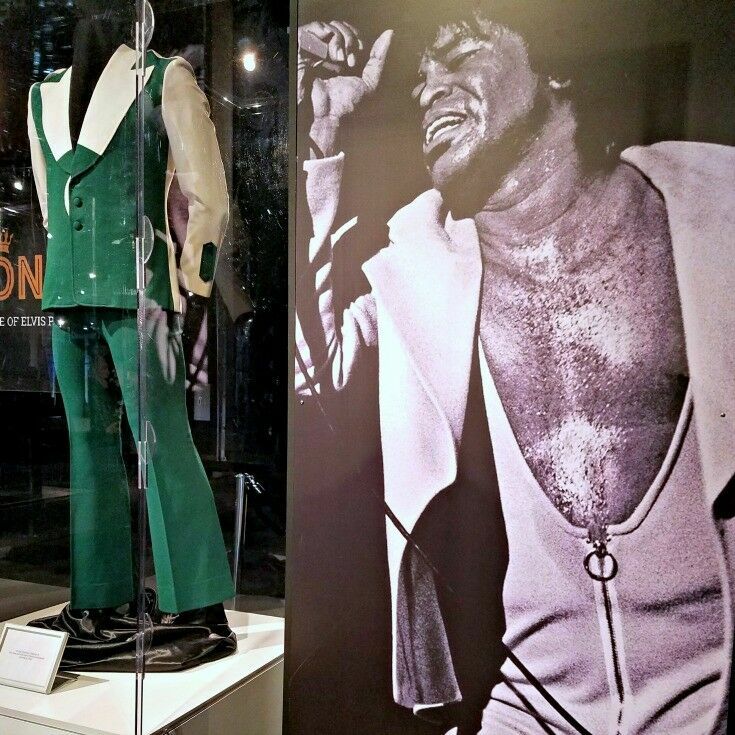 Some of the performers who paid tribute to Elvis in the ICONS exhibit were obvious (Bruce Springsteen immediately comes to mind) , but both Mr B and I were genuinely surprised by others. The first Elvis song I heard was ‘Hound Dog.’ I just heard this voice and it was absolutely, totally in its own place. The voice was confident, insinuating and taking no prisoners. He had those great whoop and diving moments, those sustains that swoop down to the note like a bird of prey. I took all that in. You can hear that all over Led Zeppelin. It was like he came along and whispered some dream in everybody’s ear, and somehow we all dreamed it. I wasn’t just a fan, I was his brother. He said I was good and I said he was good. We Never argued about that. Elvis was a hard worker, dedicated, and God loved him. I love him and hope to see him again. There’ll never be another like him that soul brother. If your actions create a legacy that inspires others to dream more, learn more, do more, and become more, then you have accomplished something. Elvis did that and more for me and so many others. When you come from Memphis, music is in your blood. From the blues artist to Elvis Presley, they have had a major influence on my music. 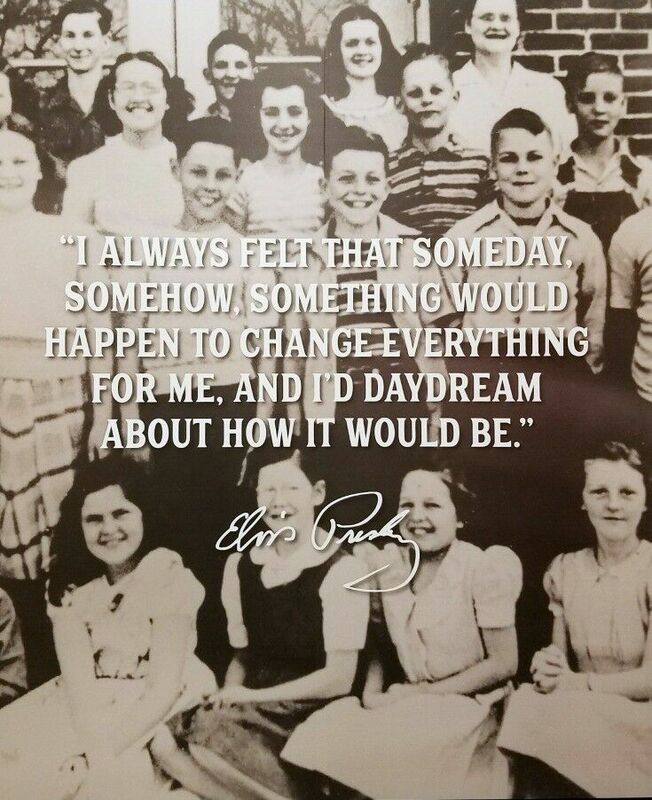 I admire Elvis, always have. He combined all of these different types of music and made it one. 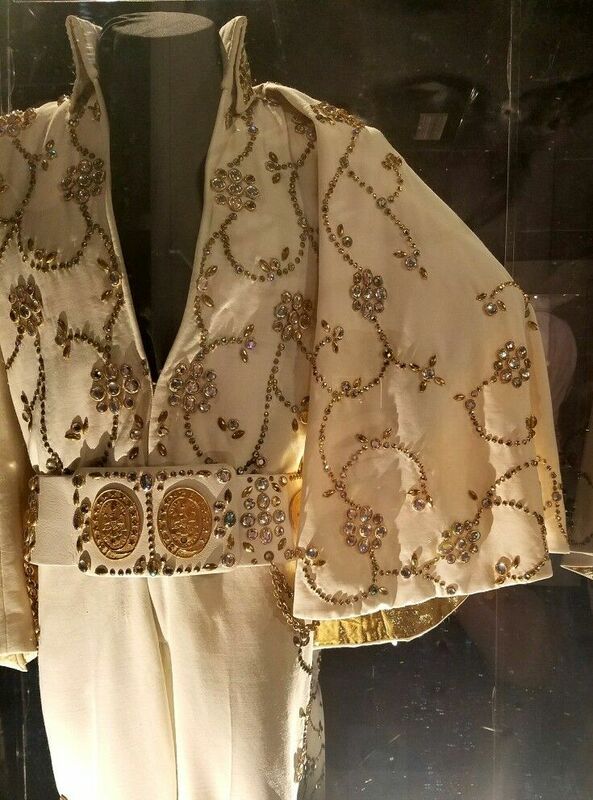 Whether you are a fan or just a music lover, a day at the Elvis Presley’s Memphis Entertainment Complex is so worth your time. Even if you are a lifelong fan like Mr B, you will come away with a new appreciation for Elvis’ life and contributions; and if you are simply a music lover like me, it will likely change your perspective on The King of Rock ‘n’ Roll and his place in music history forever. 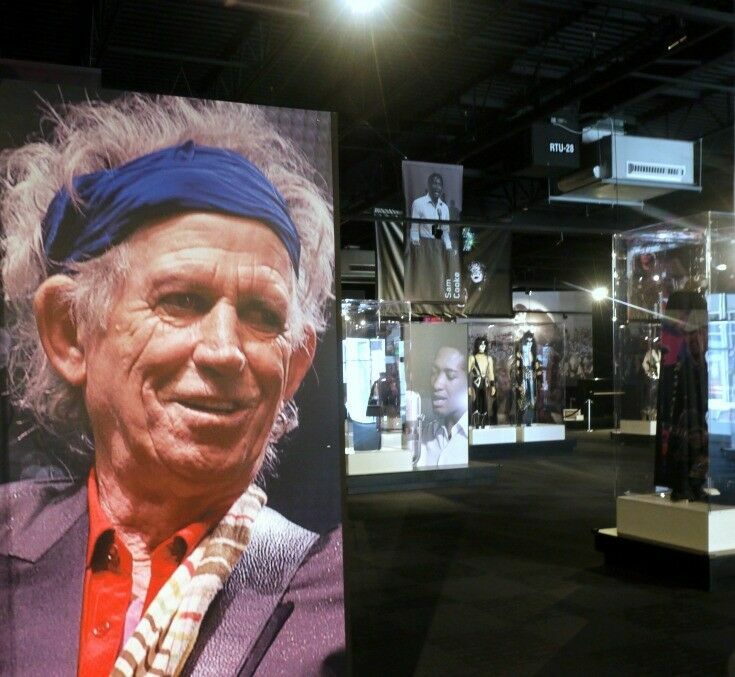 Did any of the tributes in the ICONS exhibit surprise you? Disclosure: Many thanks to Graceland and Elvis Presley’s Memphis Entertainment Complex for hosting our visit. All images here are mine, taken and used with permission from Graceland/Elvis Presley Enterprises, Inc. for use on this website only. This post may contain affiliate links, which means we may receive a commission if you click a link and purchase something that we have recommended. While clicking these links won’t cost you any extra money, they will help us keep this site up and running – and (relatively) ad-free!! Please check out our disclosure policy for more details. Thank you for your support! I’m like you where I think I understand his impact but don’t fully understand why he has such fervorous fans – maybe a visit would help me understand! I don’t know much about Elvis, but my Aunt loves everything to do with him. I would totally go to see this though, because I don’t have to know much about him to understand how much he affected people’s lives. Whoa, what an incredible place! Loved seeing the outfits and cars especially. 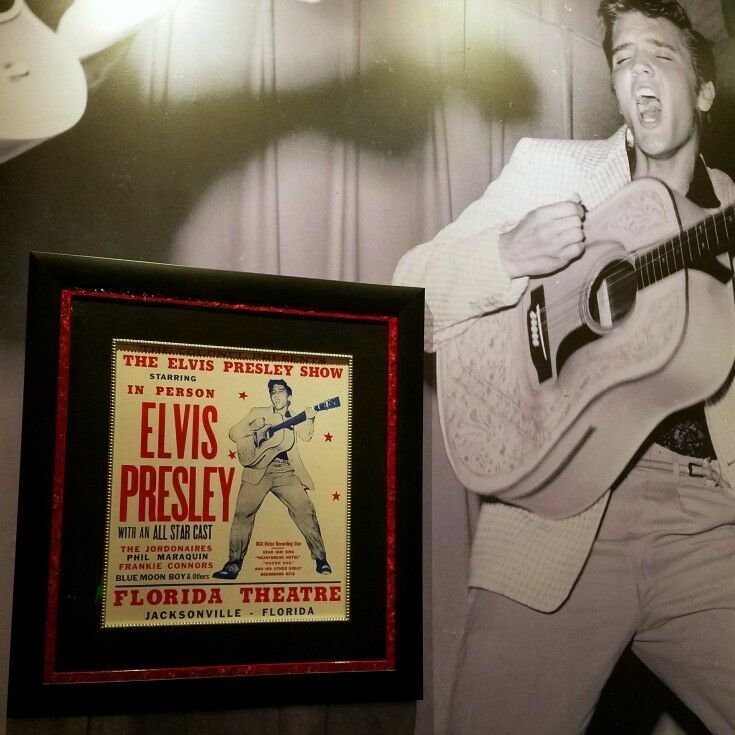 It’s amazing how many musicians he influenced – Elvis really was (and is) The King! 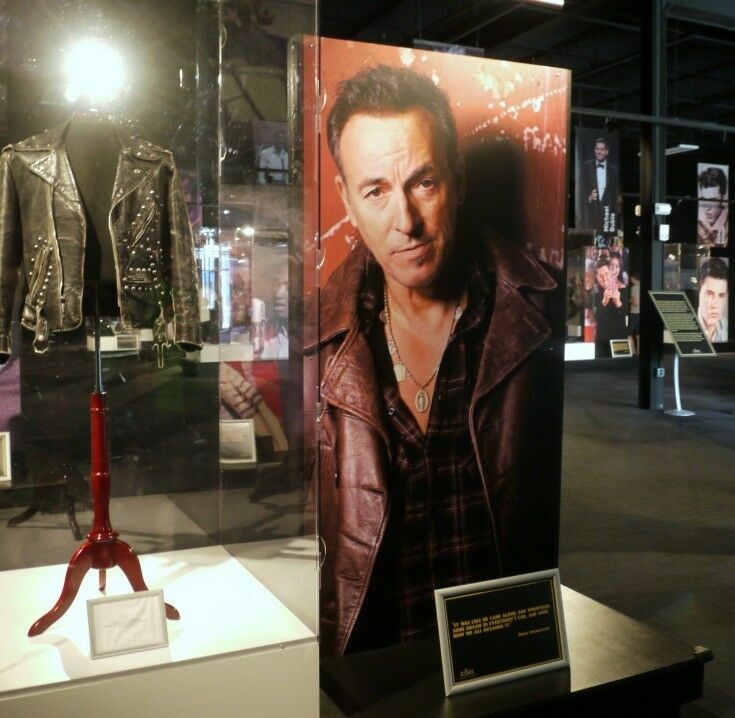 What a fun recap of Graceland! I never truly understood the obsession (or even interest) either) but you’ve definitely opened my eyes! I am a baby of the 50s, a child of the 60s, a teen of the 70s and Elvis was always the King. My mom is a huge fan and made sure her kids were, too! You did awesome on the post. Thanks so much, Terri. 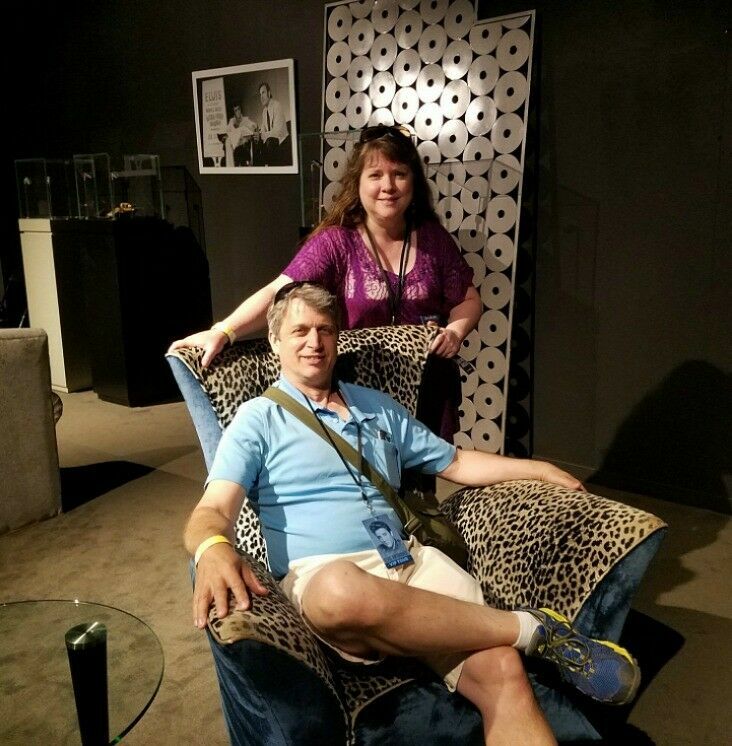 I’ve got one more coming – about our visit to Graceland mansion. Hoping to get the Mr to put in his two cents: it was a moving experience for him. I am huge Elvis fan! Always have been. My girlfriend just visited Graceland and brought me back the cutest cup. That photo of you on the purple chaise!! That’s the best, Renee! 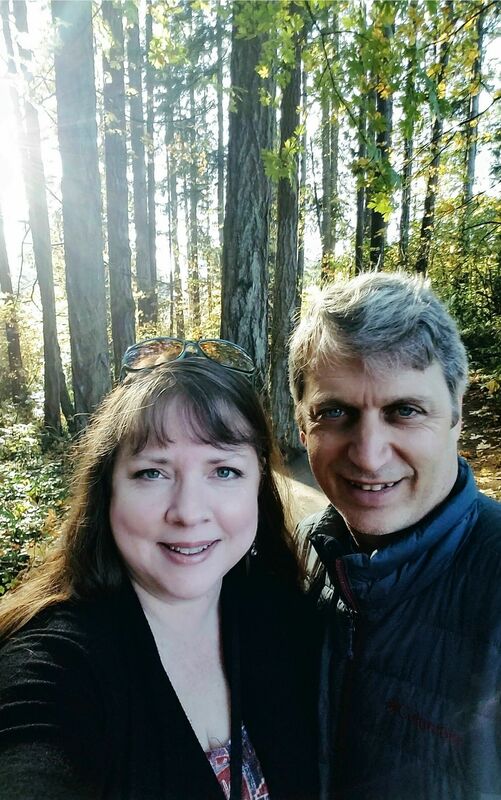 Awesome photos, and I am so glad you were able to share them with us here on your blog. I’ve never really understood the Elvis phenomenon, but I have a great respect for what he did for music today. What an incredible collection of history there! That looks like a great museum/experience! Love those quotes from other artists too–that Paul McCartney one, aah! He was definitely a talented performer and influenced so many future musicians. While I don’t listen to his music I do believe his legacy became the blueprint for many other artists to follow ! I have always wanted to take a trip to Graceland. This looks like it is so amazing! Wow, what a spectacular place that looks to visit! I can’t believe it’s been 40 years – although I was only 10 when he died, I still remember the news breaking. Love how the visit made you really see why he was so popular and influential, and still is! I would love to go to Memphis! I’d like to go to TN period! so much history in that state and my husband said it’s beautiful as he has family that lives there. This looks like such a fun museum! I’m sure my family would LOVE it, definitely adding to our must see travel list. oh wow! this is like my moms dream trip come true! I was there when I was little (with her of course) and I don’t remember anything. maybe we should do a mommy / me trip again.